Hey, Are you in a finding of a "Best Video Editing Software For PC And Mac" if then you are on the right page. Here we are going to discuss some 12 amazing Video Editing Software which is pretty amazing to create spectacular videos. We are going to be elaborating the best of best Video Editors which are available in the market. Before that let us see where these video editors can be used. Video editors can be used in Film Industry, Sports Industry, Music Industry, highly in Youtube industry. But there is a huge difference between these industries and software usages because somewhere you need an advanced editing software or somewhere a basic software to create a video. When it comes to video editing, Different people have different needs as some people need to combine few clips and collage it together but whereas other people need to have a complete control like advanced colour correction, Chroma Key, and Sleek animation. So to make this simple we have combined Basic, Intermediate, and Advance video editing software for you to make it simple. And we have provided you with the direct link to download the software and we have not listed the price because the price will fluctuate on time of the software available. This video editor is free and open source available for Windows, Mac, or even Linux. This is the basic and very simple video editing software if you want to just add a clip and join together and some colour correction with translations on the video, where there are fewer effects which you get normally and it is pretty similar to windows movie maker which has been removed from windows itself. I Movie is an Apple Mac video editing software which is pretty amazing to edit a normal drone shots [Even 4K] and YouTube videos with some simple text animation on them. It has multi-special effects, Studio-Quality Titles, High-Fidelity Filters and a simple Soundtrack which is simplified for you. It has a magnetic effect where if you move a video it moves with its audio which is pretty amazing. This software is available to all the platform like Windows and Mac which is a cool thing. This pretty software is already a basic video editor with advanced options. The design of this software is like pretty simple with easy to use options. The software carries about 50 advance and modern Text animation with Transitions which are pre-built in the software itself. You will get a Chroma Key and Ken Burn. A simple drawback is a playlist which is not available in this software which makes editing a non-comfortable where you have to copy your video directly to the timeline and edit it over there. This software is more powerful than Power Director and it's even available to all both the platform like Windows and Mac OS for free of cost. The software has amazing editing timeline with a dark theme which is pretty comfortable for eyes while editing. When you open this editor you will come up with 4 features like Media, Edit, Colour, and Deliver. In media panel you can add your videos for later editing and organise the parts of the whole video, In edit panel you can combine all the parts of the video by adding all the effects and transitions to the video where next comes colour. In colour, you can correct the colours of the video in high detail frame by frame of the video. And in deliver option you can export video with desired options as you need. But this pc needs the high-end PC to work on it. This video editing software is used in film industries, professional video songs, the commercial video for advertisements. For these type of advanced editing, we need a powerful video editor virtual machine which can handle any type of video and here is it possible with this Adobe premier Pro. This software needs the High-End PC to work smoothly. The software comes with a lot of plugins to work on a more advanced level with green screen, cartoon animation, visual effects, and even to make a full movie of 4K. The software has a lot of options which take some time to learn the video editing. There are many shortcuts which make editing process very easy. Here graphics are damn amazing to work with, you can design any graphics scene with this video editor easily in high quality. This software is only available for Mac OS and not for windows which is not good. But this is the fastest rendering and smooth Mac Video editing software which has the high-end qualification like Graphics editing, 3D editing, Smooth 4K video editing and many more. The software can render 10-minute video in just 6 minutes with HD quality. Video editing software is easy to use and drag-drop qualities with the smooth working process. The software is amazing for visual effects and graphics working, And this pc doesn't need any High-End Pc to work. This has a lot of effects like 3D text, 360 Degree video editing, 360 Degree Text effects which are a pre-built option in the software. This only takes 1.5 GB of space which is pretty amazing. And the Hollywood movie called Iron Man was made using this software only, by this movie you can get to know what is the power of this software and there are a lot of tutorials to learn this software on youtube. Always this software makes a place in video editing in the list because of its simplicity and different from all editors. This is mostly used for simple videos like tutorials where the text is more required and very attractive for the video to look creative. This is very similar to Power Director but you will get more text animations, flairs, transitions, and rendering of this software is amazing. This software comes with a lot of updates which brings a lot of features to use. This has an amazing support system and it does not need any High-End PC system to work. A free video editor with an amazing timeline with live preview, This is the best software for Youtube and basic video where no effects are needed. On this software, you can add text animation, a speed of the video, and basic colour correction. It is a just 50 MB software where there is no need for high-end PC to work on. Software doesn't support Mac and that is a big drawback otherwise an amazing software for beginners. 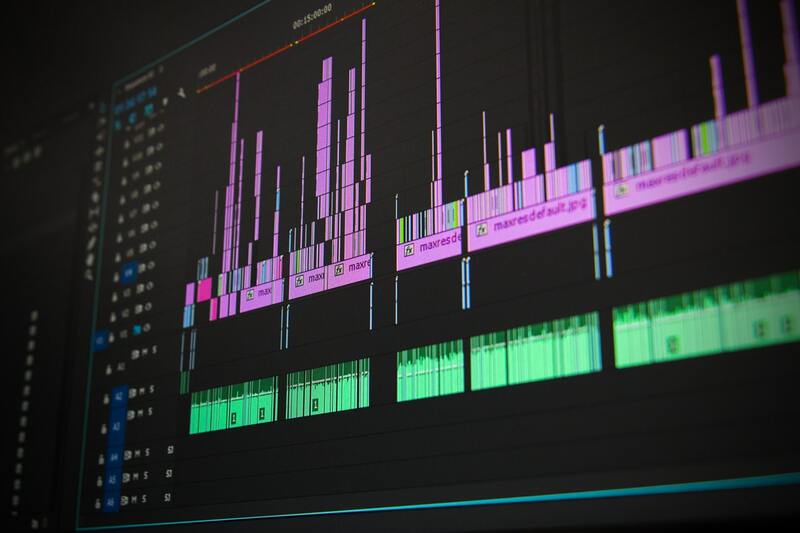 Here were the "10 Best Video Editing Software For PC And Mac [ Free Download ]", Now it is your time to choose which is better for you to work with. You will be having the question that why there is no image attached to any info in this article. Images were not available and so for that, we have given you the link below where you will get all the images and demo of the video editor. If you like this article then comment on which software you have downloaded and if you have any problem comment us below where we will answer you all the question.